West Ham sign Jonathan Calleri, Liverpool reject Crystal Palace bid, Cesc Fabregas want Chelsea stay, Joe Hart should stay, says Gary Neville. West Ham sign Jonathan Calleri, Liverpool reject Crystal Palace bid, Cesc Fabregas want Chelsea stay, Joe Hart should stay, says Gary Neville and much more in today’s news roundup. West Ham have completed the signing of striker Jonathan Calleri on a loan deal, according to SkySports. The 22-year-old has moved to the Premier League on a one year loan deal. Seria A duo Napoli and Roma are keen to sign Manchester United right-back Matteo Darmian, as per SkySports. Darmian joined the Red Devils last summer from Italian side Torino. Liverpool have denied the offer from Crystal Palace for striker Christian Benteke, according to reports. The Palace made a £23million offer for the Belgian. 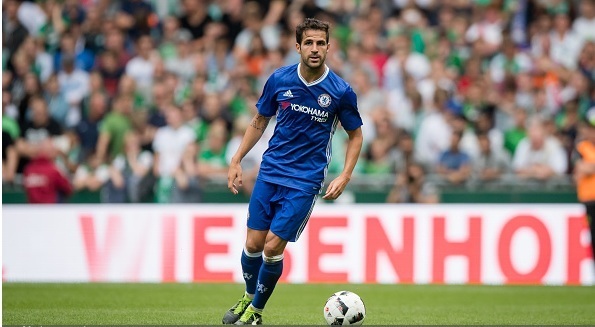 Chelsea midfielder Cesc Fabregas is keen to stay at Stamford Bridge and has plans to work under new manager Antonio Conte. The Spaniard was not in the starting line-up in the opening game against West Ham yesterday. Football pundit Gary Neville has advised Joe Hart to stay at Manchester City despite of the toughness this season. Hart was dropped by the new boss Pep Guardiola in the opening game of the season last weekend.